Lately I’ve been seriously contemplating cutting my hair into a shorter pixie-ish style, and seeing photos like the one below make me want to book an appointment right now! 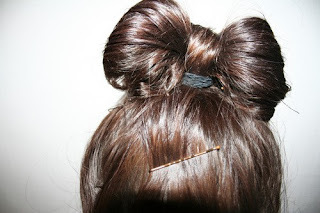 However, I’m not sure I can go without being able to throw my hair up into a messy pony tail or, perhaps, an adorable little bow? I’m torn! Thoughts? I simply can’t decide! it's not as bad as you'd think! yes there are some days that i wish i could throw my hair up into a bun but my hair looks great even if i don't blowdry it now. totally untrue when it was long. also hair accessories make a much stronger impact with a crop! think of all the cute headbands and clips in your future!